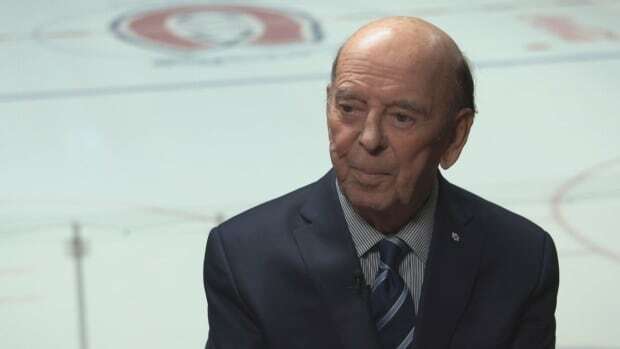 Bob Cole doesn’t know where his signature catchphrase “oh baby” came from. That play — when Mario Lemieux slipped through a pair of Minnesota North Star defenders before deftly deking out the goalie — is just one of countless moments that Cole helped relay to hockey fans. He will sign off from Hockey Night in Canada for the final time on April 6 after 50 years in the booth. That’s Cole’s essence as a broadcaster — quick to deflect attention from himself and onto the game he cherishes so deeply. “That’s my job: to make sure that whoever is tuned in today is enjoying the game, and never mind me or whomever broadcasting, enjoy the game,” Cole said. “I’ve gotten a lot of help and a lot of criticism too, of course, that happens in anything singular like what I’m doing. Every hockey fan seemingly has a favourite Cole call — that’s the kind of thing that happens over half a century behind the microphone. “He provided the soundtrack for some of the greatest hockey events over a four-, five-decade period, and for that he is to be saluted and commended,” said Jim Hughson, who is the primary play-by-play announcer for Hockey Night in Canada. Due to the nature of their work, their interactions have been limited to airport run-ins and the occasional seminar, but Hughson said he’s “like most Canadians” when it comes to his relationship to Cole. “Even when I was young, and working in the business and doing the same kind of job at a different level, my acquaintance with Bob is turning on the television,” Hughson said. Cole was on hand when the Canadian men’s team ended its 50-year Olympic drought with a gold-medal win over the U.S. at the 2002 Winter Games in Salt Lake City. “You could cut it with a spoon, the tension was so thick, and we didn’t know with three minutes left who was going to really win this hockey game,” Cole said. Cole and Foster Hewitt, the legendary broadcaster he idolized, simultaneously called Paul Henderson’s goal that led Canada to victory over the Soviet Union in the 1972 Summit Series — Hewitt on television, Cole on CBC Radio. Then there are the stories that don’t make it to air, like what happened after the Edmonton Oilers’ Stanley Cup victory in 1987 when Mark Messier approached him following Game 7. “Mark said, ‘Where are you going, Bob?’ I said ‘I’m getting to the hotel and, you know, it’s been a long series … and heading home tomorrow,'” Cole said. “‘No you’re not. You’re coming downtown, we got a place downtown, you’re coming with us.’ So when Mark Messier says ‘you’re coming with us,’ you’re coming with us,” Cole laughed. It’s fitting that Cole’s final call will feature two of hockey’s most storied franchises: the Toronto Maple Leafs and the Montreal Canadiens. The teams have been a part of Cole’s life since was a boy in St. John’s recovering from a broken leg he sustained playing soccer. “The radio was my everything. There was no TV at the time and Foster Hewitt was broadcasting of course out of Toronto,” Cole said. “I had all the pictures of the Toronto Maple Leafs and the Montreal Canadiens, 8x10s, through Quaker Oats box-tops that were saved up by the neighbours for young Robert who got hurt and he’s bedridden. Later, as an aspiring broadcaster, Cole just wanted a chance to get some feedback from the man who had “that magic touch.” He got his chance in 1956 while driving through Toronto after a road trip to New York City. He remembered the five-minute tape he always carried with him and went to drop it off with Hewitt’s receptionist. “She said, ‘Just a moment,’ she called and before I had a chance to stop her, she said, ‘Mr. Hewitt wants you to come in. Follow me.’ Oh my,” Cole said. “I made it down the hall somehow and sat down with Mr. Foster Hewitt. We talked for nearly two hours. He said, ‘Why don’t we go back and listen to the tape now, and we’ll both listen to it?’ So then he began talking about how he perceived broadcasting hockey, so I made a lot of mental notes and hopefully I kind of got it going so that maybe someday I’d get a chance. Watch Ian Hanomansing’s full interview with Bob Cole on The National on CBC Television on Sunday at 10 p.m. ET.